Good Morning! We have been a bit busy getting things geared up for our new home purchase, so things have been a bit busier than usual as you can imagine. The good news is that we don’t have to go look at open houses this weekend! Yay! I have no idea what we’re going to do. Probably sit around at home and enjoy these last few weeks in our apartment. And chew on things. All the chewing. I got a good gym workout in yesterday, and a beautiful Couch-to-5k run in this morning. I love running along the Embarcadero in South Beach. It’s super quiet in the morning, and has some beautiful views of the bay. I’m still chugging along with the Whole30, I’m now on Day 20. Although, I should now probably call it a Whole15 and another Whole15. When we found out about our accepted offer on the house Monday, we may have celebrated with a really nice bottle of wine we had been saving for a special occasion, and I may have decided that it was a “worth it” and had a glass or two. I picked up the program again the next day, but that was certainly not with the program rules. However, how many times do you get to celebrate finding your dream home? I’m going to keep plugging away at it, because I feel so amazing eating this way. I forgot how awesome it is! So far on the Whole30, I’ve had a lot of health things improve. I definitely sleep better and have more energy than I did before. I’m starting to get through those 3:00 lulls in the afternoon, and just plow right through them. I can tell my digestion is better. That’s one of those things for me that I didn’t think anything was wrong and that all systems were normal, but I guess there’s always room for improvement. My clothes are fitting better too, and I’m finding myself reaching less for my baggy “mom” jeans and starting to break out my old work pants that I couldn’t even button before. Hulk said I’ve been looking like I’m losing weight, and the other day one of my coworkers complimented me on my avocado-slicing skills. So things have been good! That’s all I have for now. Make it a great weekend! Hooray for pants that fit! 🙂 have a great weekend! the chewing…haha! so cute. thanks for sharing! Glad you like it! 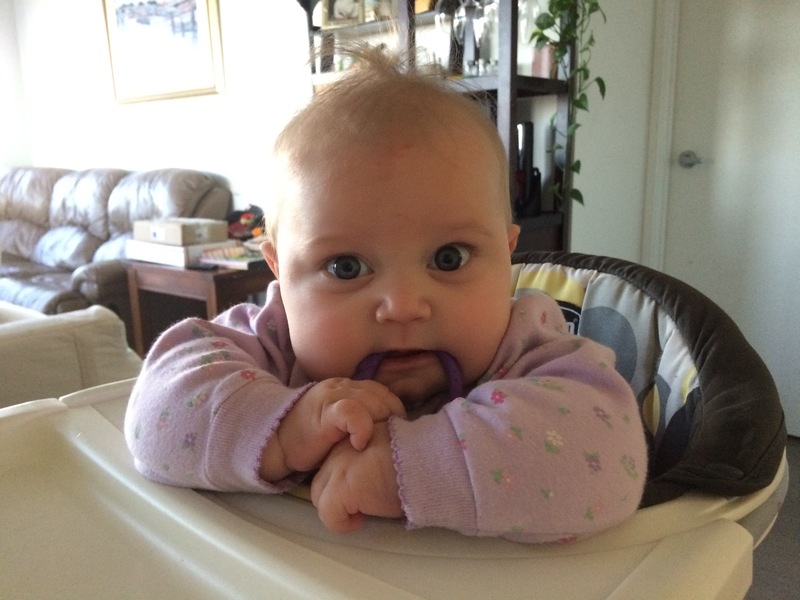 Everyone could use a cute baby pick-me-up now and then. Thank you for stopping by! Finding a house is worthy of celebrating with wine, of course! Glad you’re enjoying Whole30, Emily! I’ve always wanted to do it. 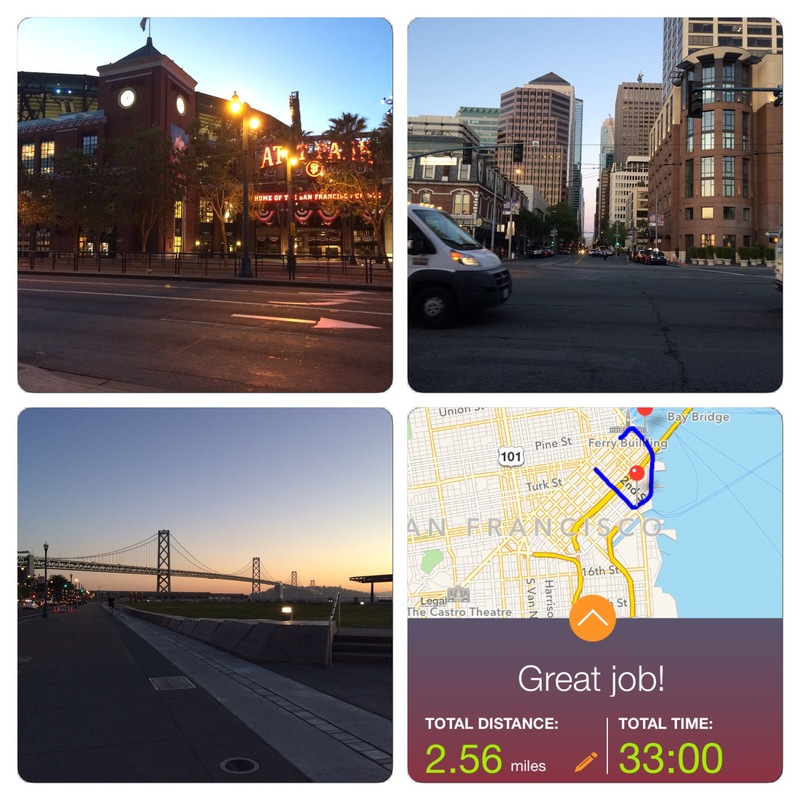 And I’m not that big of a runner, but I do love those jogs along the quiet part of the Embarcadero. Happy Sunday! I used to hate running, but after college I met up with a group of girls who were really into endurance sports, and I sorta got sucked in. I like how it’s very minimalist in equipment. Coming from a cycling background, I love how all I really need is a good pair of shoes, how refreshing!